Nicola Adams’ quest to defend her gold medal from four years ago is one step closer to becoming reality as she secures her place in the gold medal bout. 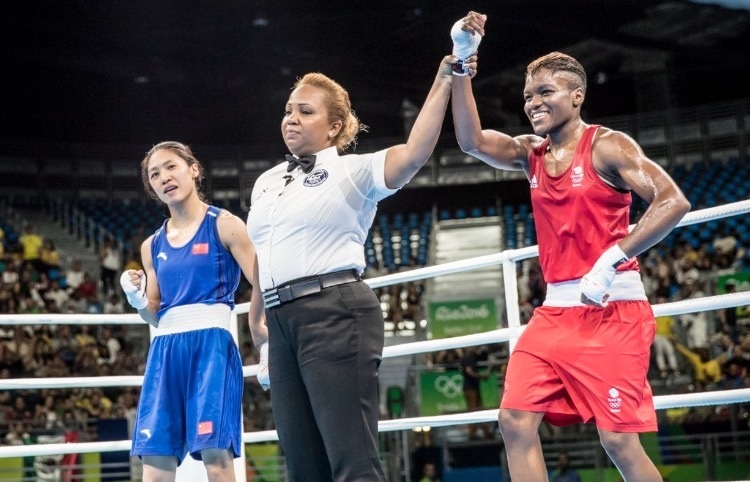 It was another re-match of a prevailing rivalry between GB Boxing’s Nicola Adams and China’s Ren Cancan. This was the sixth time the pair had met, and was going to be another close round as both of them desperately wanted that spot in the gold medal bout. Both boxers started well in the opening round, neither wanting to make a mistake. Adams started out on the back foot, waiting for her opponent to lead off. Having conceded the opening round Adams came out on the front foot using her jab, making a strong case for her place in the final. Into the second half of the contest and the boxers were now even on the score cards. This round saw Cancan sitting back, waiting for Adams to lead. More impressive shots were seen from Adams as she continued to use her jab. Adams was now leading on the judges’ score cards and one round away from returning to the gold medal bout. Adams continued with more great shots as she forced Cancan back onto the ropes. Winning by unanimous decision Adams is through to the final for the second successive Olympic Games. Adams, now through to the final told Team GB: “I was taking my time in the first round. I wanted to feel her out and not rush. She’s a quick counter-puncher so I didn’t want to take any chances. Then I just built up from there. “I know I’m in really good form. I’ve won the European Championships and the World Championships and now I’m going for the Olympic title in the same year. Boxing tomorrow in the evening session is GB Boxing’s Joe Joyce, he’ll be looking to join his team mate and earn his spot in the gold medal bout.